Soon we will have two weeks to fill with family adventures. Buyagift are an ideal site to stock up on experiences to have fun over Easter. 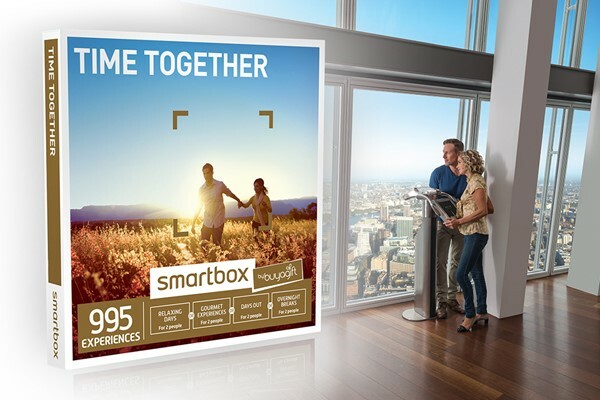 We had been sent a Time Together – Smartbox £79.99 and I noticed they offered Portsmouth Historic Dock Annual passes for two adults. But I was able to swap my voucher and managed to get entrance for the four of us instead. Fortunately, it didn’t cost anymore to add the children and changing my voucher was so simple. I really love the flexibility of Buyagift if a voucher doesn’t end up working for you, there is so much freedom to choose something else. We can now visit lots of different attractions at Portsmouth Dock and I know it will keep the kids happily entertained over Easter. If you fancy a unique night out this medieval banquet will be right up your street! You can even get into character and hire your own costume for the night. Expect music and merriment and a tasty four course feast! I really like embracing new experiences and Buyagift encourages you to try something different. Naturally with my sweet tooth something indulgent would need to feature. During the evening you get to try eight different types of chocolate. You will also learn to pair them to four wines. Any chocolate you don’t finish you can bring home with you afterwards. During a two-hour boat trip, you will hopefully see bottlenose dolphins, common dolphins, basking sharks and harbour porpoise. You will also learn lots about each of the animals you see. I think its much nicer seeing them in their natural habitat. Don’t worry if none of the above have tickled your fancy I could keep listing experiences all day there are that many to pick from. It’s easy to find a location, type in your postcode and see what you can experience on your doorstep. Alternatively save your voucher until you are on holiday and try something in a different area. We tend to do this as it means we have something to look forward to whilst we are away. If you would like to enter the competition please fill out the form below by the 12th of May. Please also check out my other competitions.